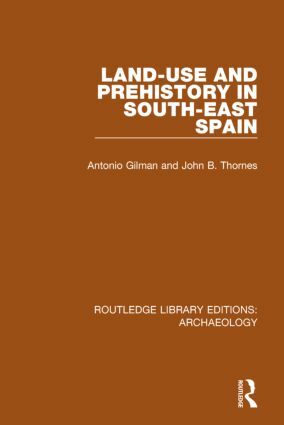 Based on a major research programme, and originally published in 1985, this book looked to provide an economic foundation for reinterpreting the Neolithic-Bronze Age sequence of South-east Spain in terms of emergent social complexity. The cultural evolution of the area had already been considered in terms of influence from the eastern Mediterranean but this book uses site catchment analysis to give an economic baseline for all thirty-five of the better-known prehistoric settlements of the region. Site catchment analysis assumes that people minimised transport costs in production and that ancient and modern resource spaces correspond systematically. This research therefore studied modern land use and combined it with evidence from historical, archaeological and geomorphological investigation. The book shows the increasing social complexity evident in the archaeological record emerging as a result of progressive intensification of agricultural technique. Offering a complete coherent evolutionary model for the archaeological sequence of the region’s prehistory, this book is a worthy in-depth study for prehistorians, geographers and anyone interested in the history of the western Mediterranean.